TC Mag dug up details of SilverStone's Precision series PS07, a new all-black case for Micro-ATX, Mini-DTX and Mini-ITX motherboards. It will be available in Europe by mid-November for around 62EUR (excl. VAT). 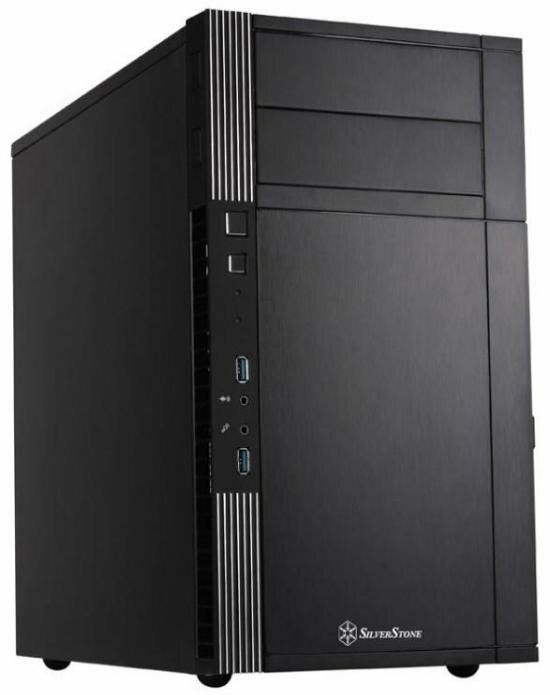 SilverStone's chassis measures 210 (W) x 374 (H) x 400 (D) mm, it weights 5.2 kg and features a couple of front placed USB 3.0 ports, two exposed 5.25-inch bays, one 2.5-inch and five 3.5-inch internal drive bays, a removable motherboard tray and top panel, and two pre-installed 120mm fans which are found in front and operate at 950 RPM (18 dBA sound output). A third 120mm fan can be added to the back of the case.